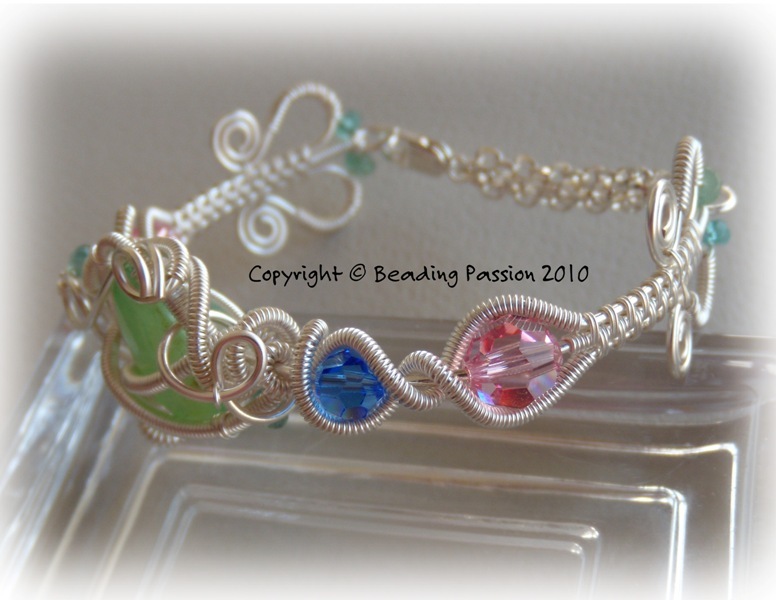 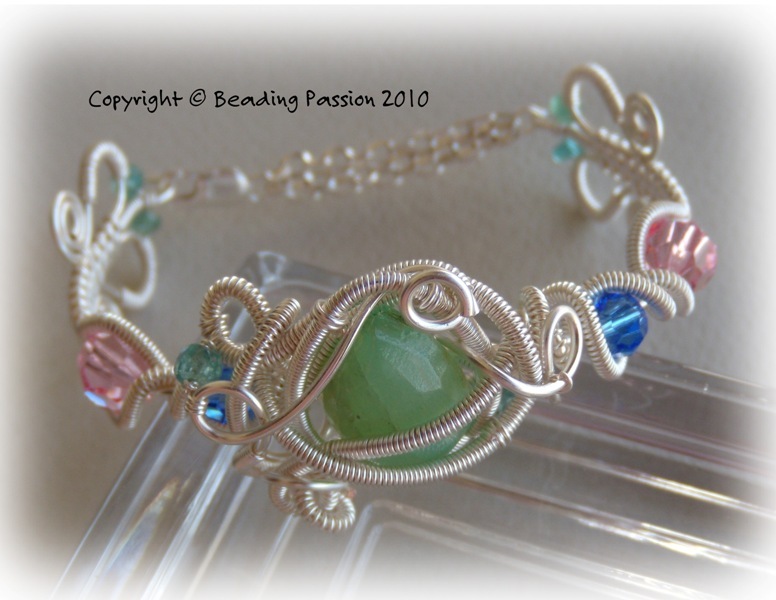 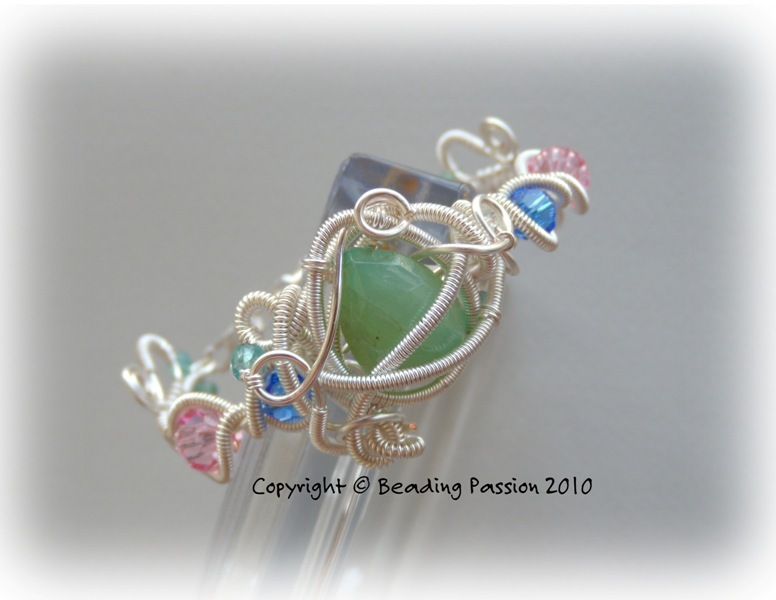 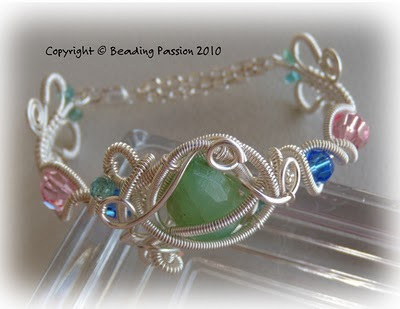 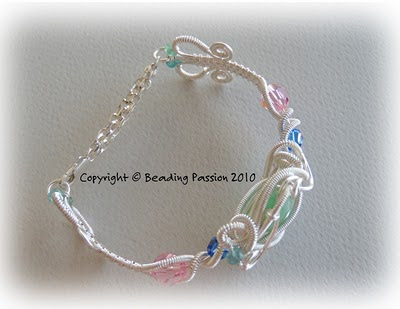 Woven Wire Cuff, but with several colours of beads. 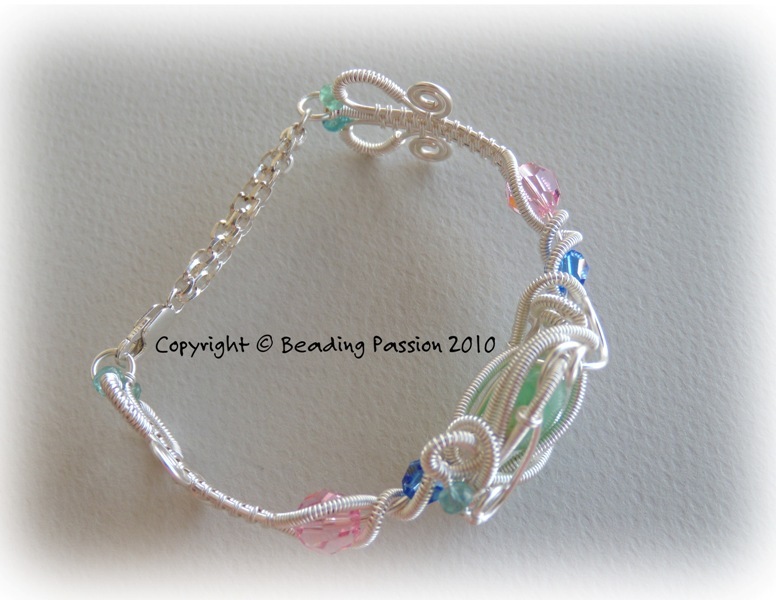 (Brand: Artistic Wire, Colour: Non Tarnish Silver). and gemstone beads (Apatite and Blue Peruvian Opal). 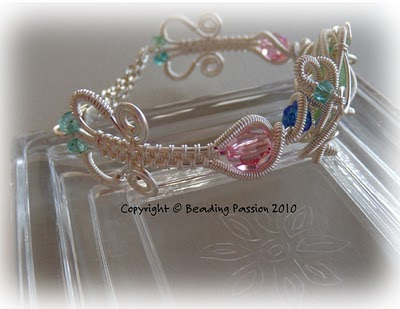 I posted these photos on my Facebook. I've showed these pics to my friend too, and she loves it!